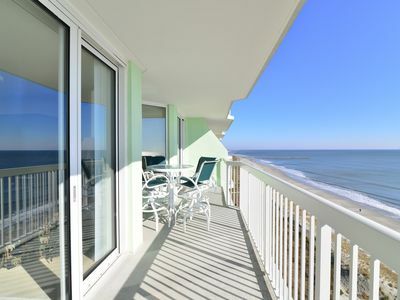 OCEANFRONT 3BR IN HEART OF NMB! 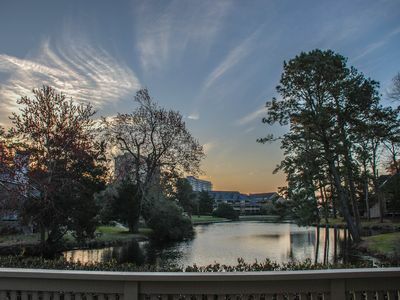 Perfect Location with Awesome Views! Great for Families! 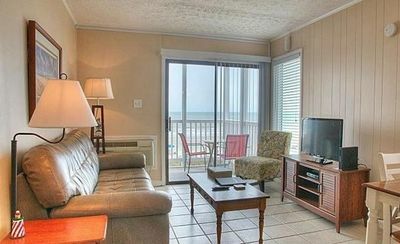 Check out this oceanfront 3BR on your next trip to the beach! Do you like to shag? Do you love seafood? 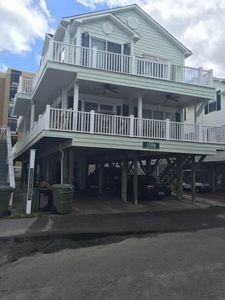 This property is right down the street and is walking distance away from Fat Harold's & Duffy Street Seafood and all the other great places in NMB! 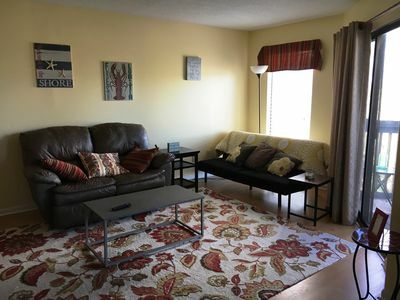 This property has been recently updated with new flooring, has been freshly painted throughout and also has new furniture with flat screen TVs in all the rooms. 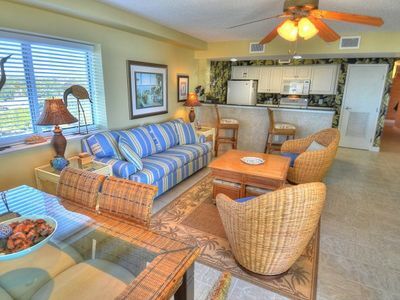 The kitchen is fully stocked and has all the appliances needed to cook your meals. 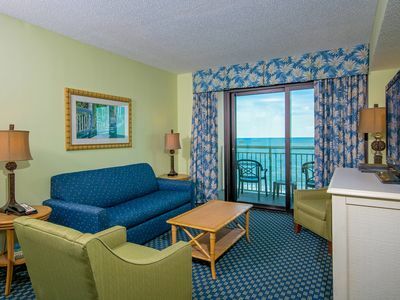 There is a king bed in the master suite with its own private balcony and full bathroom. The 2nd bedroom has a king bed as well. The 3rd bedroom has 2 twin beds and a half bath too. 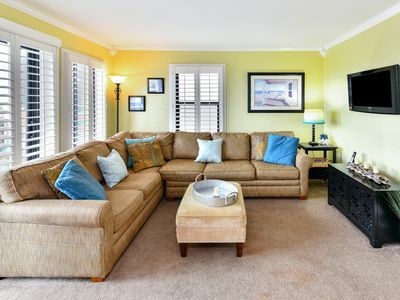 There is a wet bar in the living room for your beverage needs! 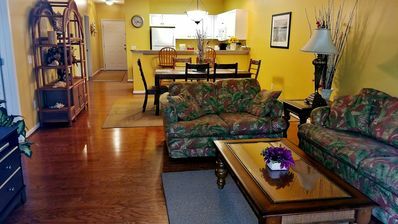 The living room is very comfortable and has plenty of seating. 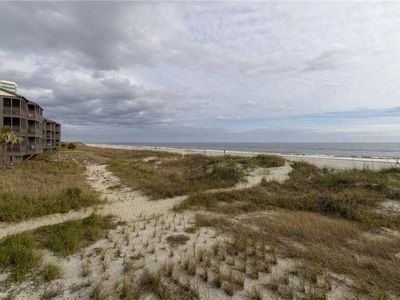 The balcony has amazing views of the dunes and ocean. 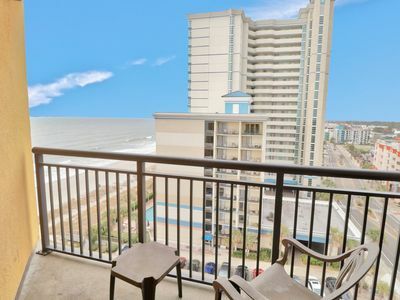 You will love sitting out here and listening to the waves. 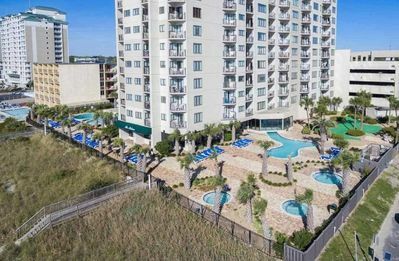 This building has a great pool area on the ocean side with a hot tub and you also get access to the 2nd row pool area that has a tennis court too! 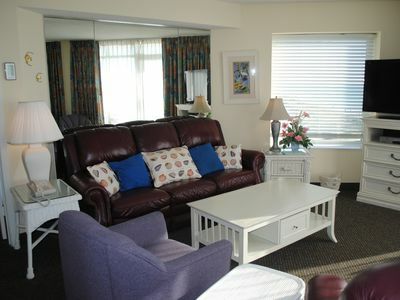 This property will allow a small pet for stays longer than 30 days so it is perfect for Snowbirds. 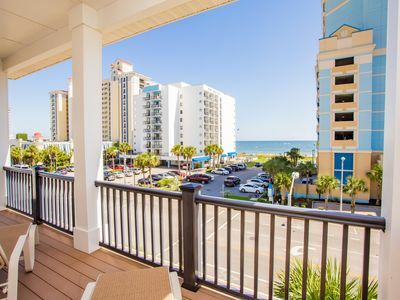 It is walking distance to Main Street/Ocean Drive so you can enjoy all the festivals, shag clubs and restaurants without ever having to drive. 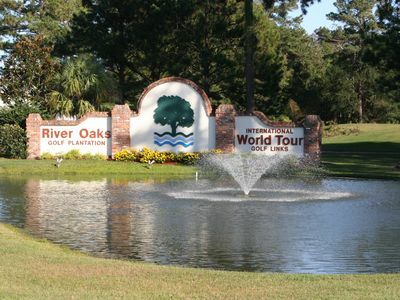 There are lots of stores nearby such as Bi-Lo, Krogers and Walmart. If you love ice cream, check out Melt or Sweet Frog's. 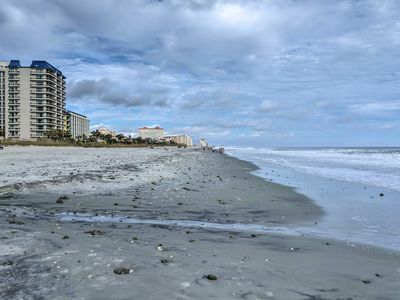 So let us help you with your next stay at the beach and you will want to come back year after year. This property is non-smoking, no pets or motorcycles are allowed. Please book online or call us today for a great deal! 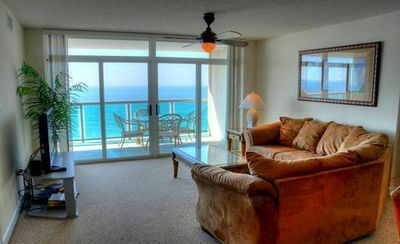 DIRECT OCEAN FRONT VILLA, GREAT OCEAN VIEW! GREAT VALUE! 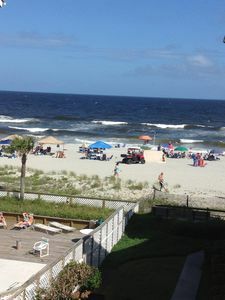 3BR Luxury Vacation Home - Includes FREE Waterpark Use & $150 in Freebies! 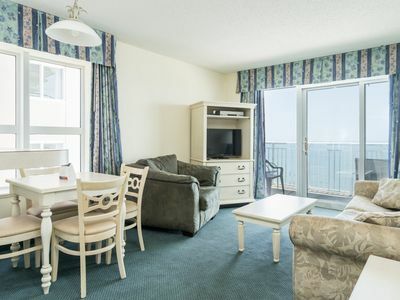 Baywatch Resort - 1632 Budget friendly 2 bedroom unit overlooking the ocean! 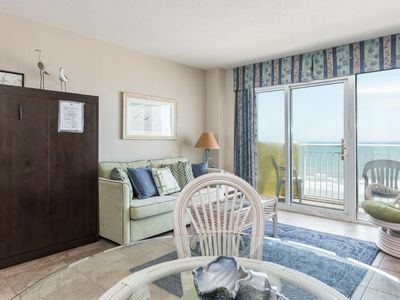 MYRTLE BEACH RESORT 321-A/ BEAUTIFUL CONDO, GREAT VIEWS, TONS OF AMMENITIES.